Children are often better candidates for hypnosis than adults, says one clinical psychologist, and the process can help resolve such problems as pain, anxiety, bed wetting, and asthma. Robert Shacter of New York's Mount Sinai School of Medicine talked about children and hypnosis on The Saturday Early Show. He says children tend to respond to hypnotic suggestion better than adults because they are more in touch with their imaginations. Children can be hypnotized as early as age 3, he says, adding, "But in my personal experience, I have found that children ages 5 or older respond best to the treatment." Here is part of a pre-interview with Robert Shacter. The easiest way to hypnotize a child is to have them focus on a point, he explains. They will do that until their eyes begin to feel heavy, and they become sleepy. You now have them in a trance-like state. Once they are in this state, you begin to tell the child stories that can alleviate whatever problems they may have. What role, if any, does the parent play during a hypnosis session? As in any therapy, it is important for parents to know what is going on. But in the actual session the parent is either not there or in the backround. So they really don't play any part in the actual therapy. How many times does a typical child visit a hypnotist? Most children attend 4 to 8 sessions with a qualified hypnotist. During that time, the hypnotist can teach a child how to hypnotize himself. How do I know if my child if a candidate for hypnosis? Most children are good candidates. It just depends on whether the problems they are having can be helped by hypnosis. Pain. Hypnosis is very effective at alleviating the pain of children undergoing cancer treatments. What we do is help the child go somewhere else, away from the pain. By accessing the unconscious, the child creates images that forces them to focus on something other than the pain they are feeling. For example, if you squeezed your hand very tightly to the point that it hurt and then someone asked you to focus on something else, you would not be as aware of the pain in your hand. Anxiety. A child who is anxious often breathes more quickly and has a higher heart rate. With hypnosis, we can teach them to breathe more slowly, lower their heart rate and take them away from whatever is making them anxious. Bed Wetting. Many doctors prescribe medicine for children who have a bed-wetting problem. 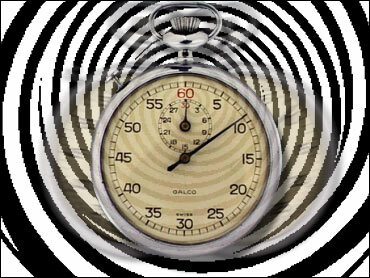 But now more physicians are turning to hypnosis, which has very positive results. Part of the reason that it works so well is that kids play an active role in their treatment rather than just taking a pill. Asthma. When children with asthma feel their throats constricting, they begin to feel anxious and breathe more heavily. With hypnosis, you teach the child to calm down and bring them to another place. How effective is hypnosis in children? In the right child, hypnotism can be very successful. Remember: There are some children who have a harder time letting go. But for those who can, the results can be very positive. Another plus of hypnosis is that unlike drugs, the risk of harm is low. Why aren't more doctors using hypnotism? It's just not taught that much in schools, and some people still don't want to recognize it as a viable alternative. However, it is becoming more popular, and many insurers will cover it.